Meeting the physical demands of a warehouse environment, especially in the case of forklift use, can be a daunting task for most mobile computers and tablets. Many mobile devices may have a rugged outer case but dealing with vibration and misuse on a vehicle/forklift requires even more specific design changes few devices have. Motorola offers a range of terminals designed for vehicle use and can handle every application from the warehouse to cold storage and even the outdoors. This infographic is a quick overview of the key Motorola vehicle terminals and their main features to get you started finding the right unit for your needs. 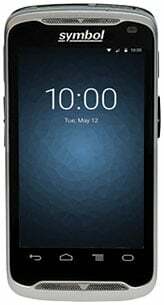 Motorola is offering the third generation of the industry’s most successful mid-range mobile computer to retailers, manufacturers and distributors to help improve customer satisfaction through more efficient and accurate inventory management. The new, lightweight MC3200 mobile computer is ideal for inventory-related tasks on the store sales floor, in the warehouse aisle and on the loading dock where mobile workers need to rapidly and accurately pick orders to ensure customers receive the right items on time. The cost-effective MC3200 is the industry’s first enterprise-class mobile device available with support for both the Android and Windows Embedded Compact (CE) 7 operating system (OS) – enabling businesses to standardize on one OS for all of their enterprise applications. With Premium models of the MC3200, companies can swap between Android and Windows CE 7, enabling them to purchase the OS that best meets the needs of their businesses and workers today and in the future. The MC18 personal shopper solution is a smartphone-style, state-of-the-art mobile computer that transforms the shopping experience. As the next generation self-scanning solution, the MC18 enables retail shoppers to easily and conveniently scan items as they shop, saving time and avoiding the need to wait in lines at checkout. Retail shoppers can also receive discount coupons, as well as suggestions for complementary items. The MC18 also features the PowerPrecision+ battery, a new higher capacity battery only from Motorola that provides enough power for 45 minutes of shopping with just 15 minutes of charging. The intelligent PowerPrecision+ battery delivers advanced state of health and state of charge information—improving device management and ensuring that cradles are always filled with ready-to-use devices. Voalte, the leader in healthcare communication technology, today announced a strategic relationship with Motorola to support the Android version of Voalte One, the company’s mobile communication platform for hospital caregivers. Voalte will offer customers the Motorola MC40-HC, the first multi-purpose mobile computer for healthcare. The device improves care coordination while incorporating inventory management capabilities in a touch-based, consumer-like device running on the Android operating system. 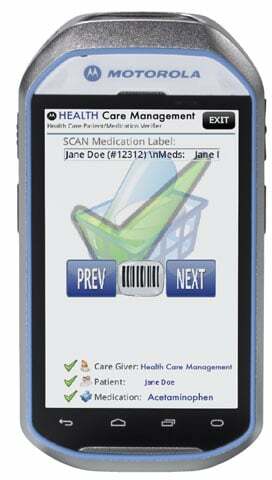 Voalte chose Motorola’s MC40-HC healthcare-grade mobile computer for its stability, enterprise durability and built-in barcode scanner. The device provides a sustainable platform for the healthcare environment, including robust Wi-Fi connections that keep staff connected, security features that help meet patient privacy requirements, and remote management of devices and applications. The MC40-HC will support the Voalte One application, which combines voice calls, alarm and alert integration, and secure text messaging.